Gneed more gnomes in your gnext game? Of course you do! Every game can be improved with gnomes. These babies were created by Stew authors John Arcadian and Matthew J. Neagley, and they’re dead simple to use. If you’re using the latest version of Acrobat, you can even replace our gnomes with your own gnome images. 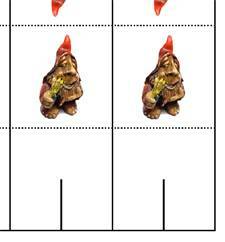 Coming soon: awesome halfling miniatures! Gnomes rule, halflings drool!